On this episode, we talk about the infamously tragic collection of now-classic music stars that died at the height of their careers but at a very early age; now collectively known as The 27 Club. 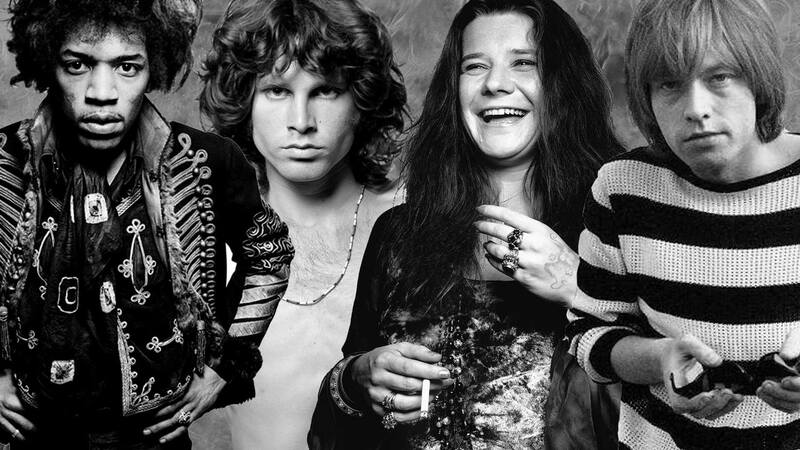 Jim Morrison, Jimi Hendrix, Janis Joplin were the original three dying at the end of the 60s and leaving behind them the legacy of one of the wildest and most progressive periods in human history. Their passing sounded a death knell for the counterculture and its hopes for the future. Fast forward to the 90s and a seeming revival of 60 cultural progressiveness and also the tragic death of Kurt Cobain by suicide. Cobain’s death reinvigorated the 27 Club mythos and people started to wonder what was it about the age 27 that caused so much heartache coupled with unbridled success? In recent years others have been added to the roster of the 27 Club like most recently Amy Winehouse but others still are being posthumously gilded with the moniker of ‘worthy’ of entry. Jean Michel Basquiat, a new york artist who died in the 80s was added just a few years ago; and actor Anton Yelchin was considered after his untimely death in a car accident. The conditions for entry seem to have been relaxed then, with only the most influential and prolific creators gaining admission for the first 40 years and now it seems, the arbitrary factor of age make you an eligible candidate. Many other more influential people die older but still don’t get the accolades The 27 Club do; like Heath Ledger who died at 28 and just missed the boat; or John Bonham dying at a ripe old 32. There must be some sort of reason the memory of the originals were kept alive for so long? The involvement of those original three, Jim, Jimi and Janis, in the Laurel Canyon movement of the 60s and the infiltration of counter culture, could have something to do with it. Their deaths were also quite suspicious, either by overdose, or suicide, or both, and Jim Morrison may not be dead at all. We will never know why people put so much value on the cult of celebrity but the ever-increasing vacuousness of today’s musical artists and reality TV stars may leave slim pickings for future members of the 27 club as far a quality goes, but there will be plenty of quantity! Thanks to Murder Book Podcast for supporting this episode of Those Conspiracy Guys. Check out Michael Connelly’s new “Murder Book” podcast here on Apple Podcasts or wherever you get your podcasts or at the Murder Book Podcast Website.